The photo diaries certainly tell the story, and detail a lot of how each week went, and what the activities were. The Common Hope staff provides the "template of service" which we follow and modify as needed, to provide a benefit to the organization and the families they serve, as well as having a fun and memorable experience for our team members. The fund raising component underwritten by the ERC International Committee and a District 6270 Grant enabled books, supplies, and infrastructural improvements to be provided to one of the partner schools, in this case, also the beneficiary of the 2015 trip, Escuela Guardiania El Hato, located in a remote northeast corner of the Antigua area. Based on the exploratory visit made by ERC members to the school in 2014, the improvements are dramatic, with the spirit and enthusiasm of both the staff and students reflecting the freshly painted facilities, modern lighting, and other improvements our funding has caused, including adoption of best practices in class room organization, discipline, and innovative learning approaches. 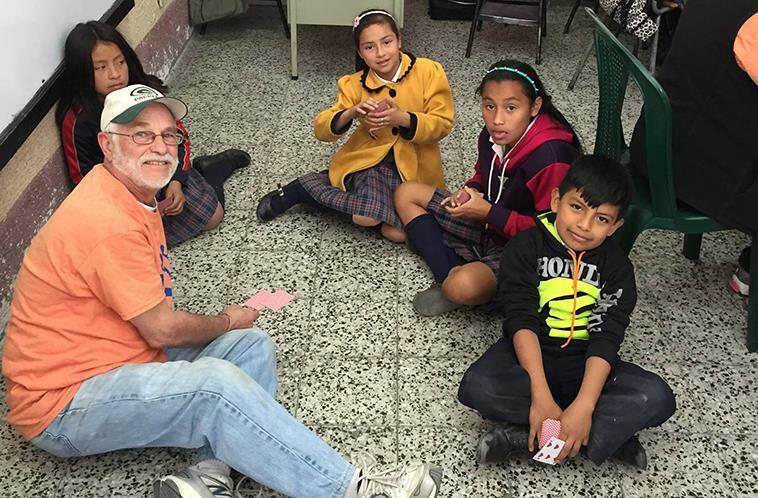 Those interested in our Guatemala Literacy Project can contact Erik Moeser at emmcsm77@wi.rr.com or any club member for more information.